A major creative opportunity for Aboriginal and Torres Strait Islander artists. In 2020 The Royal Children’s Hospital (RCH) will celebrate its 150th anniversary. In recognition of this major milestone, the RCH and RCH Foundation will present RCH150, a year-long program to celebrate the extraordinary impact 150 years of great care has had on the children of Australia, and to chart a path towards the future of paediatric healthcare. To commemorate the 150th Anniversary, the RCH Foundation is commissioning a major artwork to be permanently installed within the hospital’s Parkville campus. The commission seeks applications of an original public artwork by an Australian First Nations artist or artist collective, with the successful applicant/s being granted $100,000 to create their work. demonstrate the RCH’s commitment to our First Nations communities. 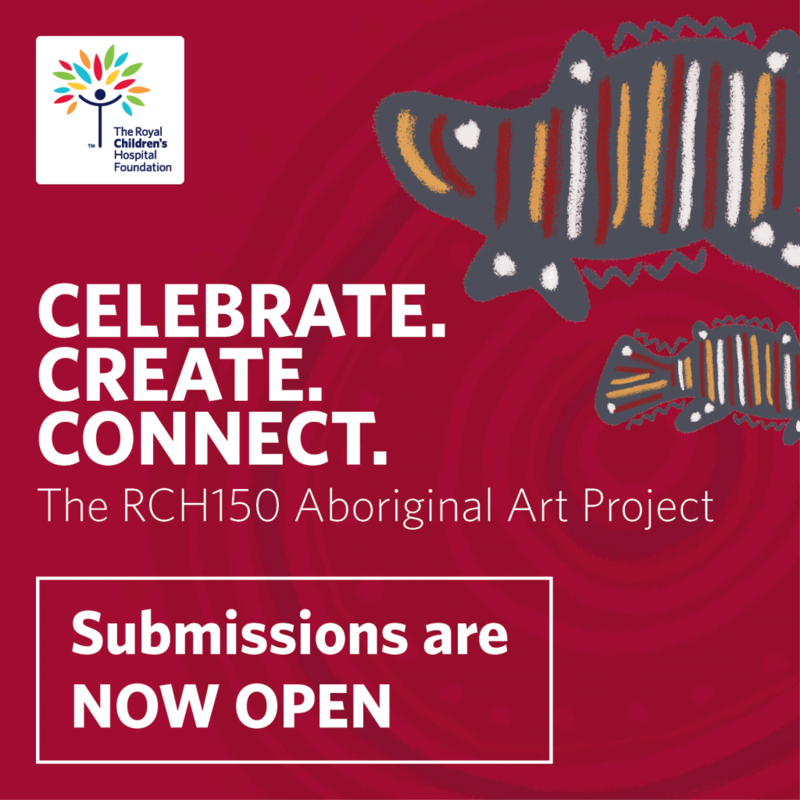 This is an incredible opportunity for First Nations artists to create a culturally significant legacy and contribute to the future of the RCH. Submissions portal closes 31 March 2019 at 11:59pm AEDT.